This is also called a stated income/stated asset loan (SISA) where you tell the lender what your income is and instead of verifying the amount, they’ll try to verify the sources of your income. So prepare a list of your clients and other sources of income, like income-producing investments. Also, even if you have good credit and sufficient assets, the lender may ask you to provide your tax returns from the previous two years, profit-and-loss statements and balance sheets in order to show that you have enough income to make your mortgage payments. You’ve got a higher chance of getting a low doc loan if you have a credit score of 720 or above, a down payment of 30% or more and at least 6 months of cash reserves to meet your monthly repayments. If you’re obtaining the loan from a private lender, you need to prove that you can repay the loan and you’ll may have to pay a higher rate. With this loan, the lender will not verify any of the income details you’ve provided. This is a good option if your tax returns indicate a business loss or low profit. However, it’s riskier for a lender to lend money to someone with an unverified income, so also expect to get a higher interest rate on your mortgage. You can apply for a low doc or no doc loan at Easy Settle Finance. We offer tailored low doc and no doc loans, in which self-employed applicants can borrow between 60-80% of the value of their property by signing a declaration of income and providing evidence of income. Rates vary depending on the loan but they’re usually between 11-13% per annum for a first mortgage and 2-3% per month for a second mortgage. If you can prove your income and submit the additional paperwork, you can still apply for a full doc loan, which will have a lower interest rate. A higher credit score can offset your potential risk factors as a self-employed individual and make you a more attractive mortgage candidate. It’ll also give a lender more confidence when considering you for a mortgage and if you’re approved, you can qualify for a lower interest rate. Most loans require a minimum score of 620 and a score of at least 740 to be offered a lower interest rate. 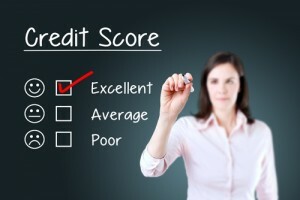 Don’t forget to correct or improve any negative information in your credit report before you apply. The less debt you have to pay for, the easier it’ll be for you to meet your monthly repayments. If you pay off all your credit cards and other loans, you could qualify for a higher mortgage amount because you’ll have more money. Furthermore, if you have a debt-to-income ratio of 41% or less, you have a higher chance of qualifying for a mortgage, but if you have other compensating factors on your loan application, you may qualify with a 45% debt-to-income ratio. Paying off some of your bills to decrease your debt-to-income ratio can be a compensating factor in your favour. If you have a lot of equity in your home, you’re less likely to walk away from it when you’re facing financial difficulties. So the lender will see you as less of a risk if you pay a higher down payment upfront. Making a larger down payment also means getting a smaller loan, which will lower your debt-to-income ratio and make it easier for you to qualify for a mortgage. If you’ve got a lot of money in an emergency fund, this shows the lender that you’ll still be able to make your monthly repayments even if your business fails. Rules vary on how much you need to have in your cash reserves as it depends on the lender and the mortgage product. A good rule of thumb is to have at least two months of housing payments (e.g. principal, interest, taxes and insurance) in the bank so that you can protect yourself in case of an emergency. Self-employed people tend to have fluctuating incomes, so lenders need to know that you have savings and can handle your finances. A lender will be more willing to take a chance on you if you can show that you’ve been self-employed for at least two years. If not, then try to get a mortgage when interest rates are low. 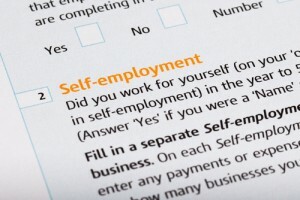 An exception can be made if you can show one year of self-employment and tax returns from a previous employer in the same field. To increase your chances of qualifying for a mortgage, you need to be able to provide your tax returns from the last two years, quarterly profit-and-loss statements, balance sheets, and so on. You may also need to prove your ongoing income by providing a year-to-date profit-and-loss statement if more than a quarter has passed since you filed your last tax return or if one year’s income is higher or lower than the other. For example, if what you earned in 2012 was more than in 2013, the lender will request a 30-day profit-and-loss statement to support your current income. You should have lodged your tax return with the Australian Taxation Office (ATO), which the lender will request to see a copy of directly from the ATO to prove that you’re declaring the correct business income and expenses. If so, the lender can work with you to approve a mortgage. Your net income will be used for income qualification (I.e. the average income of your two recent tax returns), so in order to qualify for a mortgage you should have more income than expenses. Also keep in mind that how much you can borrow is based on your qualifiable income. To skip the risk test, get a bookkeeper or accountant to validate that the use of business funds will not impact the future viability of the business and the sustainability of the revenue that your business generates. You’ll have a much easier time if you use business assets for reserves instead of cash from your business account. You must have a registered Australian Business Number (ABN) and business name with the Australian Business Register (ABR). You can also provide a signed statement from an accountant, a business license, a website and client statements. Get a joint mortgage with a co-borrower who is not self-employed, e.g. a family member, spouse or trusted friend. This assures the lender that there’s a steady income to pay back the loan. However, if you’ve reported a business loss on your taxes, then you’re better off applying only with the co-borrower’s income. For example, if the co-borrower earns $100,000 and you declared a loss of $10,000, your combined income is $90,000. Get your parent or other relative to co-sign your mortgage loan. In the event that you default, they should be willing and able to assume full responsibility for the loan. 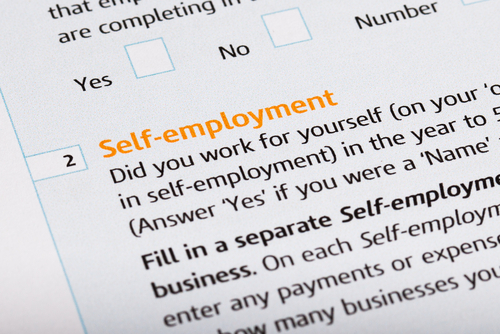 Self-employment can make it difficult to secure a mortgage, but it’s not impossible. You can get a mortgage by following the simple tips above. Find out more about our Low Doc and No Doc Loans here.